Climate change has arrived, and it’s not going away. The Handbook is not another book about climate change science or politics. Rather it is an intelligent guide, and a potential ground breaker, for all of us who feel helpless in the face of government disagreement and want practical advice on how we can adapt now. The Handbook will give you stories and advice from individuals who are already quietly doing amazing things. Jane Rawson and James Whitmore, former and current environment editors for The Conversation, look at how to establish your risk and face your fears; where to live and with whom; and how to survive heat, fire and flood. They investigate ways to provide your own food, power and water, make sure you can still get around, and get rid of your waste and sewage. They talk about new ways to think about home and possessions, the sadness of living through climate change, and how, for both individual and common good, we might positively change the way we live. The Handbook is both practical and philosophical. It can be read cover-to-cover, or dipped into when you need specific advice. It can help you plan and execute a strategy to deal with the effects of climate change. It might change your life. But it should also make you ask, does it really have to be this way? Where should I live? What kind of dwelling should I live in? What should I do in an extreme climate event? How should I live? Sooner or later we are all going to be compelled to think about these questions and to take some kind of action. 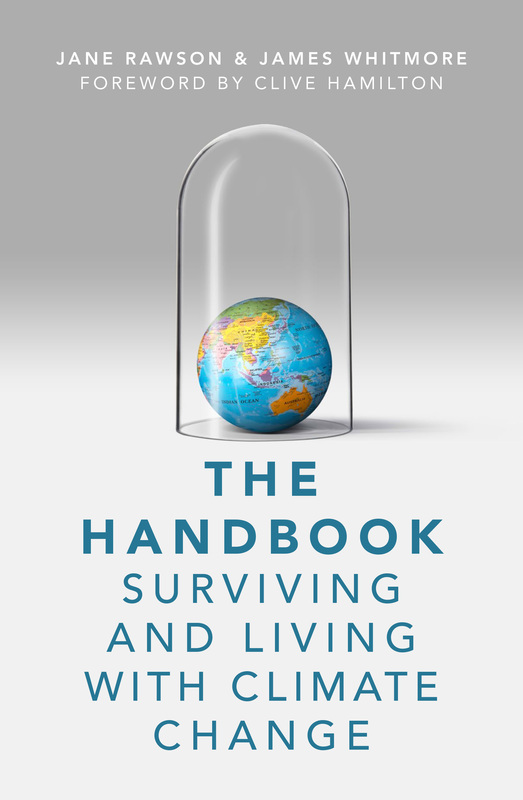 There is no better place to begin than by reading The Handbook: Surviving and Living with Climate Change and talking about it with your family, friends and colleagues. – Clive Hamilton, author of Affluenza, Requiem for a Species and Earthmasters. and rumour has it it’s on the shelves in Brunswick Bound in Melbourne and Muse in Canberra. My collected thoughts on researching and writing the book live here. Good to see The Handbook published.